Is there a better alternative to File Peek? Is File Peek really the best app in Developer Tools category? Will File Peek work good on macOS 10.13.4? 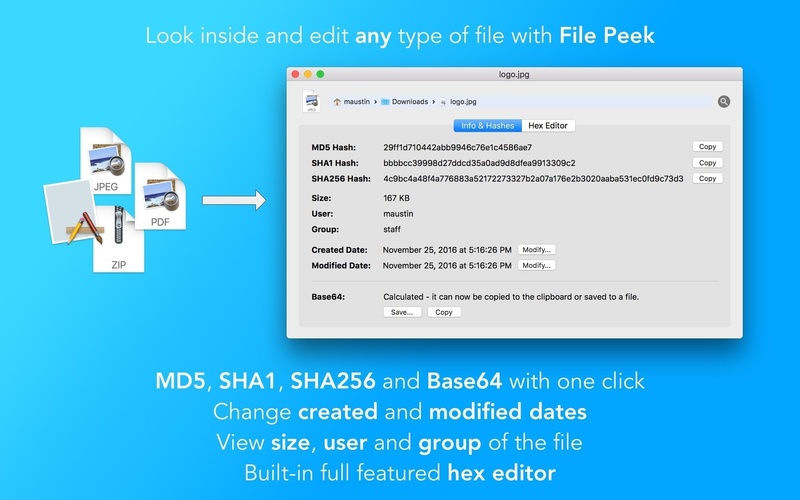 File Peek gives you a quick and easy look into your files. Use the built-in hex editor; get MD5, SHA1, and SHA256 hashes, and Base64 with one click; or even change the modification and creation dates. 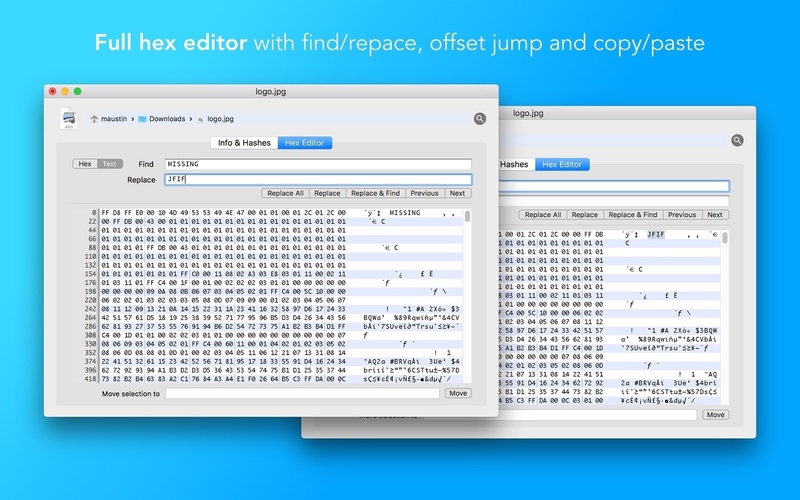 The built-in hex editor supports find/replace for easy modification, or for finding strings inside a file. Use the one-click copy for getting a file hash or Base64 encoding for whatever use you need. File Peek needs a rating. Be the first to rate this app and get the discussion started!